Suitcase? Check. Wallet? Check. Ear plugs to drown out the crying baby on the flight over? Double check. Now you’ve got your essentials for your trip to your Santa Clara corporate rental, but are you stumped on what else you should bring? Don’t worry because we’ve got a list of things to bring to your corporate rental in Santa Clara, including a great list of featured furnished apartment rentals in Santa Clara, California. From work to play here are some essential things you’ll need to have the best experience possible in your Santa Clara rental. #1 Santa Clara is known for it’s balmy weather. If you’re a big swimmer (or if you just want a chance to work on your tan)make sure not to forget your swimsuit. And unless red is a good color on you pack some sunscreen as well! #2 Also important to bring is any important documents you might be needing, like car insurance and documentation of prescription medicines. Half of the battle is just being prepared! #3 Everybody has a cellphone camera but the real deal is so much better. Santa Clara has a lot of beautiful scenery to offer and you’ll want to be able to document your experience there in high definition! Santa Clara Corporate Rental: Remember not to Forget! If packing isn’t your strong point, that’s okay. Google is your friend. There are lots of California-specific online packing lists that can help you be prepared to have the best time you can in your Santa Clara corporate rental! 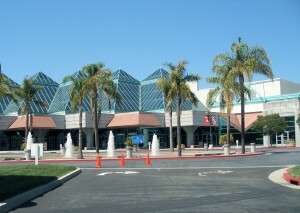 If you’re ready to go feel free to browse all of our Santa Clara corporate rental opportunities! This entry was posted in Corporate Housing and tagged Santa Clara on February 4, 2015 by Lee McDonald.